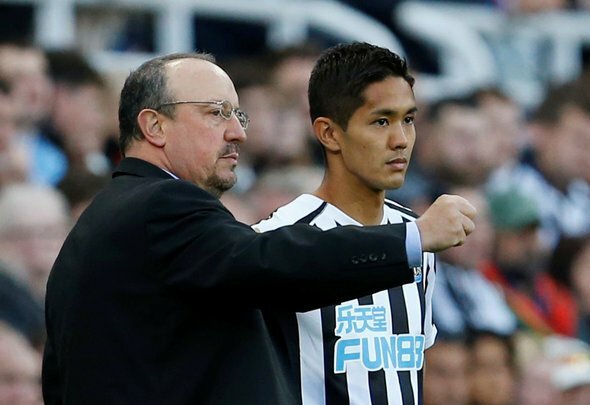 Despite a lack of transfer activity in the summer, Newcastle United fans would still be forgiven for forgetting that Yoshinori Muto was one of the few to make the move to St James’ Park. With just 13 appearances and a single goal across all competitions, the 26-year-old has quickly become a forgotten man thanks to the likes of Salomon Rondon and Ayoze Perez – although his disappearance is not entirely his fault. Having missed the last seven games due to his international commitments with Japan, he is finally back on Tyneside but facing more competition than ever, Miguel Almiron now at the club to battle for a role in the Newcastle attack. However, despite his unassuming season thus far, Rafael Benitez is expecting big things from his summer arrival, handing him a lifeline in the first team from now until the end of the season. He told the Chronicle: “Normally (after a tournament) they need some time to recover, but for us he is another addition. It’s not easy for any new player coming to the Premier League and play at the level people expect. Why Benitez seems convinced Muto is going to have any sort of impact when he is fighting fit can only be determined from his performances on the training ground, for what the fans have seen is not inspiring. He might be a hard worker but that is not enough in the Premier League – there has to be quality and cutting edge and so far Muto has not shown he has much of that. The expectations are set by his manager but the fans have hopes too and having been forgotten about for this long, he has some way to go to reach the expected heights.